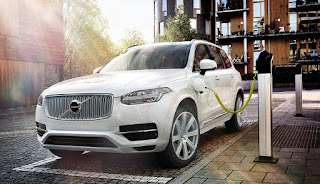 Two years ago I wrote that my next vehicle would be a plug-in hybrid SUV. Yet I'm still waiting to buy that vehicle. 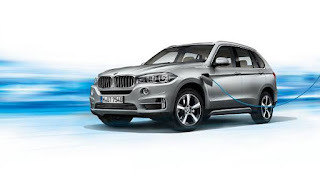 In the 2014 story, I listed many PHEV SUVs or crossovers that were "coming soon". A few have actually made it to the U.S. market, while others, like the Mitsu Outlander PHEV have been delayed again and again. This one is not a PHEV, but it was on my original 2015 list of potential plug-in SUVs and it is actually shipping now. It's time to plug in! Tesla confirmed that the highly anticipated Model 3, set to be unveiled on March 31, will have a base price of $35,000 before incentives. 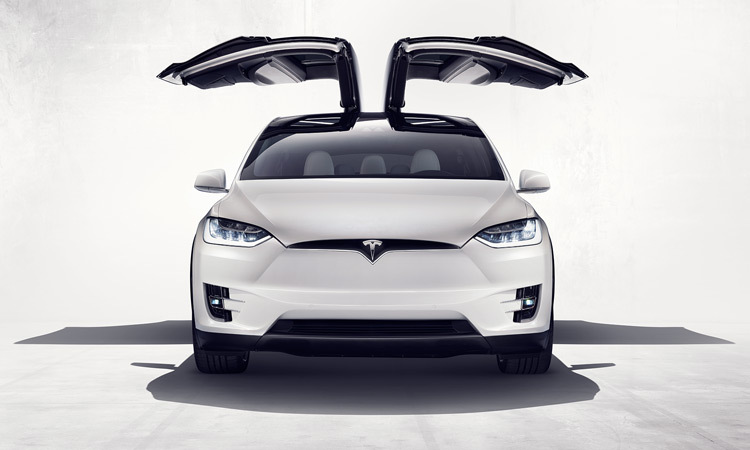 Tesla will start taking pre-orders on unveiling date and they plan to start delivers of vehicles in Q4 of 2017. With the $7,500 federal tax subsidy, you could drive off in a base Model 3 for $27,500. If you live in a state that has additional tax credits, it could be even cheaper. That $7,500 federal tax incentive is a significant price reduction to a $35,000 vehicle, but (even if you pre-order this year) there is no guarantee that this incentive will still be available by the time you receive your Model 3. The law creating the federal tax incentive only applies to the first 200,000 vehicles sold in the US from each auto manufacturer then it phases out over 1 year. More specifically, after the quarter following the 200,000th sale, the incentive drops down to $3,750 for six months and then it drops to $1,875 for the next six months. 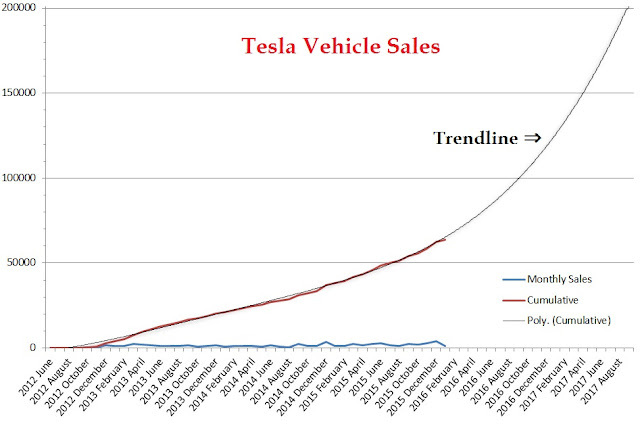 When Will Tesla Hit 200,000 Total Sales? After plugging their data into a spreadsheet, I added a trendline to estimate the 200,000 vehicle mark. This trendline, of course, is just based on the historic data. It has no weighting for economic factors or other very important (and possibly unpredictable) things like competitor's products or production delays. Additionally, there are many ways to generate trendlines. This one is a 4th order polynomial. Some other options were more optimistic, others were less optimistic. This one felt right. In other words, while a good fit, it's just a guess. 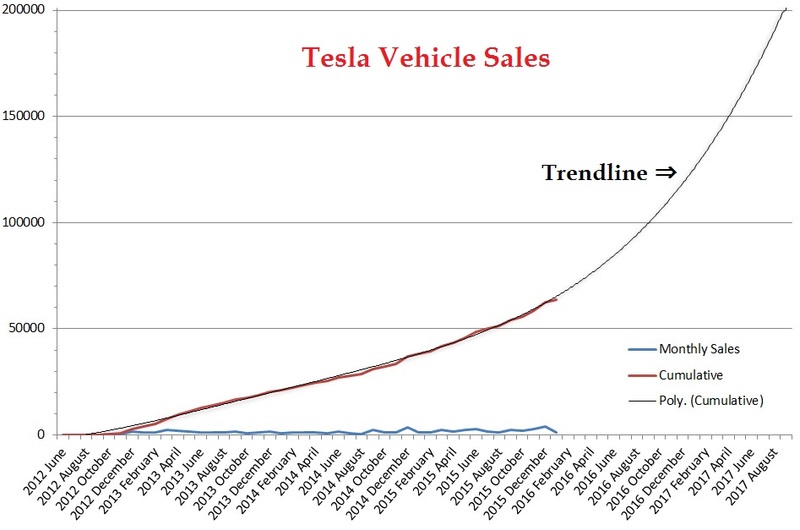 This guess predicts that Tesla will cross the 200,000 mark in September of 2017. 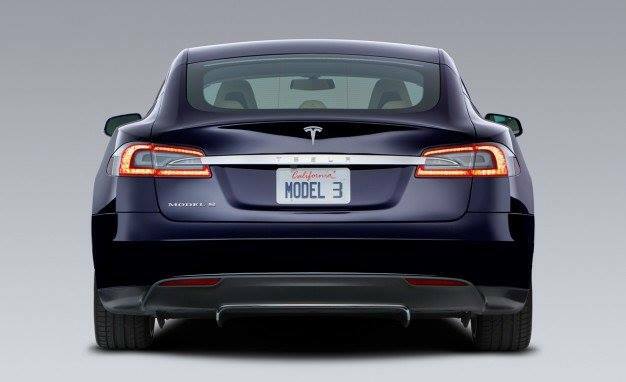 The Model 3 is planned to start deliveries in Q4 of 2017. If this guess is accurate, it would mean that the federal tax incentive for Tesla vehicles will be halved right about the time that Model 3 deliveries begin. The federal tax incentive for Tesla could be halved just as Model 3 deliveries start. Our default plan, as we've done in the past, is that the initial sales are the relatively highly optioned versions of the car. Because, obviously, we've got to pay back the investment of all the tooling and everything, so that sort of makes sense to have the higher optioned versions first. That's what we did with the Model S and also again with the Model X. So your neighbor could order a base model on in the first hour of pre-orders, then two weeks later, you could order an optioned-up version with the tech package, premium interior, and high fidelity sound system and you would get your car months before your neighbor. Is it fair? Maybe not, but that's how it works. So we finally get to The Click-Bait title of the article. How do you get $3750 worth of free upgrades? If the trendline above is close to accurate, then it is likely that only the first quarter of Model 3 delivered vehicles will qualify for the full $7500 of federal incentives. After that, the incentive will drop down to $3750. So waiting in line behind the optioned up vehicles could cost you $3750 in incentives. If you are going to pay an extra $3750 for waiting in line for a basic model, why not spend the $3750 on upgrades, pay the same price and get your car sooner and get the entire federal incentive? There are a few caveats that I should include. Tesla's sales may ramp slower than the trendline above, in which case you'll be able to receive the full incentive. Conversely, the Model 3 could be delayed and there is no guarantee that even the first Model 3 would receive the full incentive if sales of the Model S and X continue at a brisk pace. Tesla is not the only auto manufacturer that is approaching the 200,000 vehicle mark in the 2017/18 timeframe. 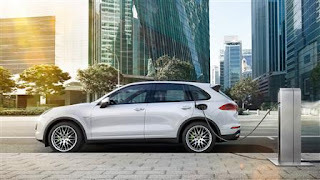 I'd like to propose a change to the tax incentive to make it apply to the first 4 million EVs sold, rather than the first 200,000 per manufacturer. The argument is that setting a limit per manufacturer punishes the early pioneering companies that advanced the technology and created the market. Imagine it's 2019, VW and Kia EVs receive a $7500 discount, while Tesla, GM, & Nissan EVs would have no federal incentive. This would be a very uneven playing field for EV sales. Additionally, I propose that the ramp down steps are per tax year, rather than 6-month intervals. This would simplify tax filings for credit. There have been other ideas to improve the incentive too such as making it $10,000 and applying it at the point of sale rather than a tax credit. These are good ideas that should also be considered for a better incentive program. Good luck and I hope to see you in a Model 3 soon! Tesla and GM are both coming out with ~$30,000 electric vehicles with ~200-mile range. How do these two compare? 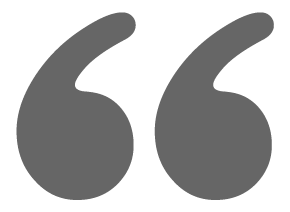 Today, we don't know the specs in detail or the final pricing so it is impossible to make an objective comparison. However, one thing we do know though is the charging network support. When people talk about cars, they generally talk about things like acceleration, cargo space, styling and the like. While these things certainly matter, today I'm going to be discussing charging. Other than asking "How long does it take? ", charging is often overlooked by first-time EV buyers. Most EV charging happens at home or at work. Level 2 public charging is nice to have, but cars don't tend to spend a significant amount of time at shopping centers or restaurants, so Level 2 charging, while nice for an opportunistic sip, is not convenient for road trips. Long distance driving requires DC fast charging. Depending on the car and its range, fast charging can add more than a hundred miles of range in less than 30 minutes. This is not as fast as a gas station fill up (yet), but it certainly makes long distant trips possible. This greatly increases the utility of an electric vehicle, even if it is only needed occasionally. Assuming the Model 3 and Bolt are similar in price and specifications, they'll be in direct competition and their differences will be far more important than their similarities. This coming clash of monster EVs reminds me of a stop-motion monster fight I saw in a movie as a kid. Bear with me, this really does tie back to our topic. I think there are lessons in that old movie battle that might apply to the battle for the EV of the future. 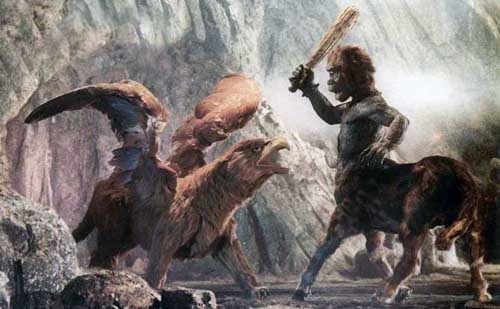 In the movie, The Golden Voyage of Sinbad, a griffin and a centaur are locked in battle. They are evenly matched, it's a stalemate. One of them fights for Sinbad, while the other fights for the bad guy, Sorcerer Koura. Earlier in the movie, The Oracle of All Knowledge said, "For it is the deeds of weak and mortal men that may tip the scales one way or the other." Koura figures out that this battle is what the oracle's prophecy referred to; so (spoiler alert) he slashes at the griffin when it's distracted by the centaur. One small cut from a human on a giant monster would normally not matter much, but in this case, it was all that was needed to tip the scales. The griffin's weakened leg slips, the centaur gets the upper hand and the battle is quickly over. This lesson has stuck with me. The little things matter and can often be the deciding factor for big issues. In our EV battle, the charging network could be the "deeds of weak and mortal men that tips the scales." 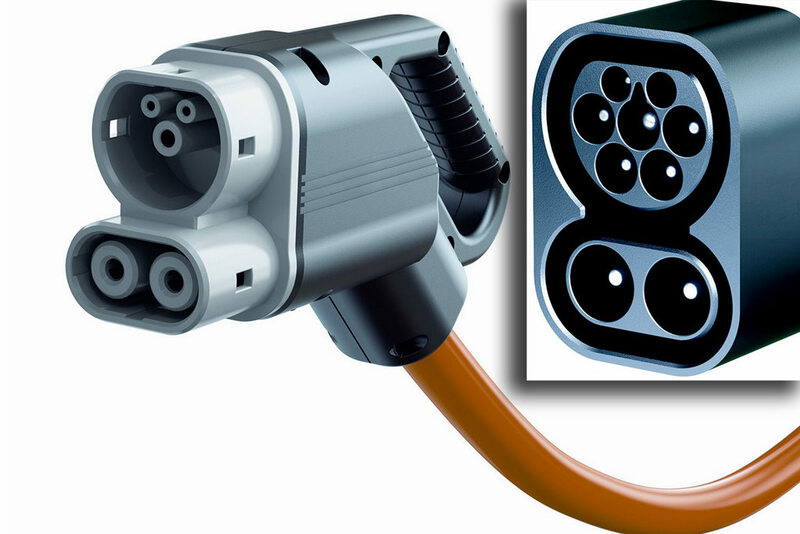 Today, there are three options for DC fast charging. They are CHAdeMO, CCS, and Tesla Supercharging. Japanese and S. Korean automakers (Nissan, Mitsu, Kia) use CHAdeMO. U.S. and European automakers (GM, Ford, BMW, VW) use CCS. And Tesla, of course, has their own proprietary (open patent) system. There are plenty of comparisons out there that have details of the charging rate for each. For the purposes of this discussion, they are fast enough for treks and that is fast enough. GM supports the CCS DC Fast Charge standard. This is the standard defined by the Society of Automotive Engineers (SAE), the same organization that defines the Level 2 standard that is used worldwide. Despite great engineering from a trusted engineering standards body, CCS has a few problems. First, CCS was the last of the three DC methods to be deployed. This generation of EV started selling in December of 2010 with the Leaf and Volt. CCS did not start deploying in any significant amount until 2015. This is 4 wasted years. Second, as you can see the CCS locations in the map below, CCS stations are not spread throughout the country. You could not drive coast-to-coast using CCS stations. The stations are clumped in the areas where the cars are sold. There is no central body examining the CCS network to determine where they are needed. About a year ago BMW, Volkswagen, and ChargePoint teamed up to deploy CCS stations. They seem to be focused on the coasts. This makes sense since that is where the cars sell the best. But that does not mean those are the only places that owners want to drive. Third, I'm concerned about how well the CCS stations will be maintained. Today, the Blink CHAdeMO stations have a horrible reliability record. The stations are installed at stores and restaurants that know little if anything about them. And they are often even unaware when they are not functioning, let alone how to repair them. Additionally, at these stations, there is often only one DC fast charger at a given site. That means when it breaks down, you're out of luck. What you had planned as a 30-minute quick charge stop could turn into a 4 hour Level 2 charging stop. Tesla was unhappy with the fast charge options offered by either CHAdeMO or CCS, so they created their own. Unfortunately, this added yet another method and complicates charging matters. Tesla superchargers use the same connector for either AC charging or DC supercharging. 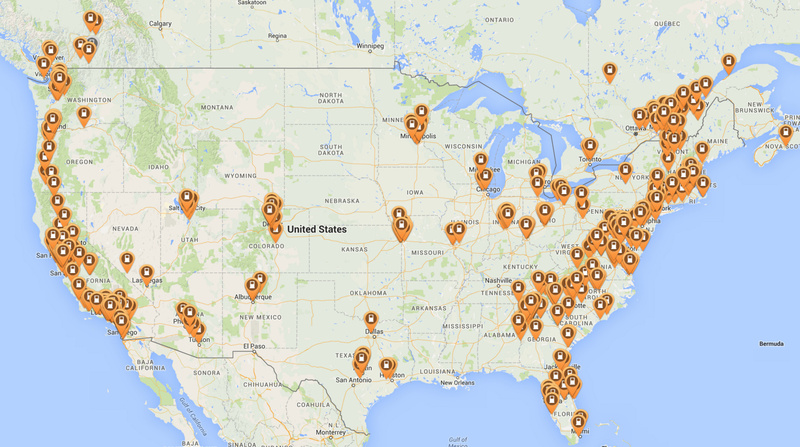 Below is a map of the Tesla Supercharger network that is active today. As you can see there are multiple routes that you could take on a coast to coast drive with this network. And as you'll see below, before the Model 3 comes out, the network will be even more complete. 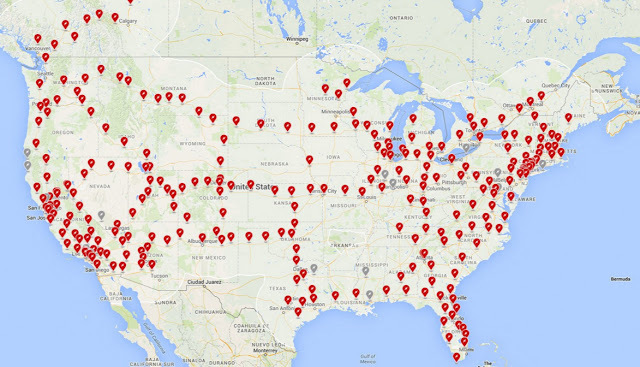 Tesla's locations are selected to allow for intercity travel. Station locations are more likely to be in between cities than in an urban center. This allows it to be used by traffic in either direction. 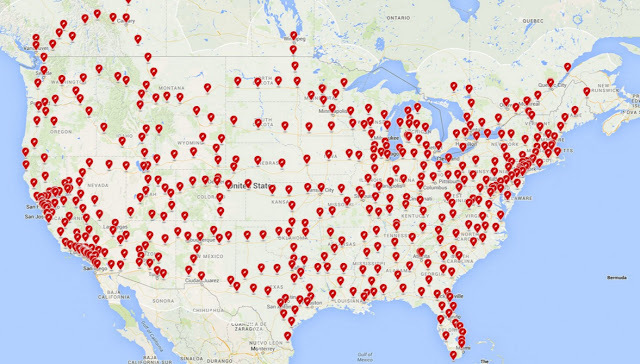 At a supercharger location, there are generally multiple stations. This means that if one station is broken or occupied, there are other stations that you can use. This supercharger network is just a part of Tesla's charging infrastructure available to their cars. There's also destination charging that allows you to fill up overnight at many hotels and BnB locations. Tesla's stations are free and they are part of the Tesla ownership experience. This helps them sell cars. This means that the stations are well maintained. The stations are internet connected and the state of each station can be queried. If supercharger stations are down, it reflects poorly on Tesla's brand and quality. It is in their best interest to keep these stations up and running. They respond quickly. The final advantage that Tesla has is that their cars can use any the three DC fast chargers. Tesla has an adapter for CHAdeMO stations and they are making an adapter for CCS stations. The Tesla Model 3 has several advantages over the Chevy Bolt. First, Tesla has taken an active role in creating a maintaining a vast, free charging network. GM, on the other hand, seems to think that, just as with gas cars, refueling is not part of their business. Second, reliability is incredibly important in a charging network. When you plan a route and expect recharging to be there, it had better be there, available and functional. Tesla's stations are maintained by Tesla, they have skin in the game. The network is there to help them sell cars. Other networks are deployed by companies that are trying to make a profit from charging fees. For them, if 95% of their network is operational, they are still generating 95% of their revenue. Third, the ability for Tesla vehicles to use adapters is a significant advantage. CHAdeMO equipped vehicles can only use the CHAdeMO network. 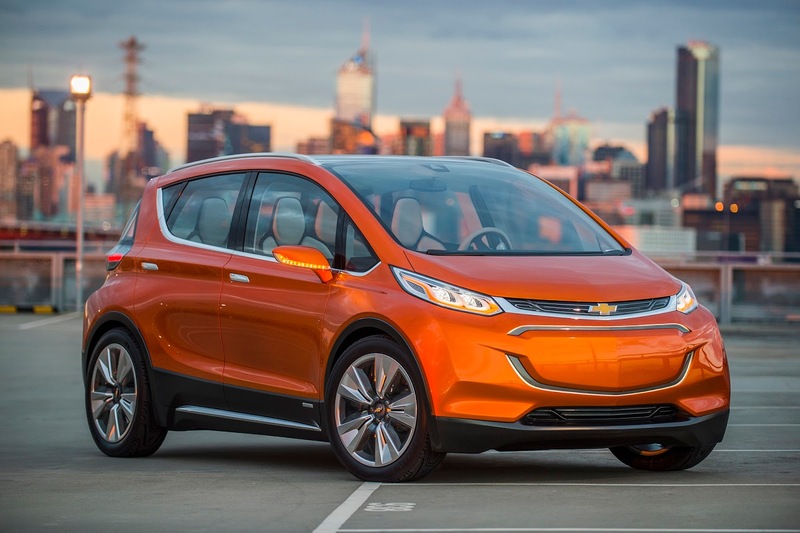 CCS-equipped vehicles, like the Bolt, can only use the CCS network. Tesla vehicles will be able to use both of these networks and the Tesla Superchargers. This makes Tesla's vehicles the easiest to find charging for compared to any other. 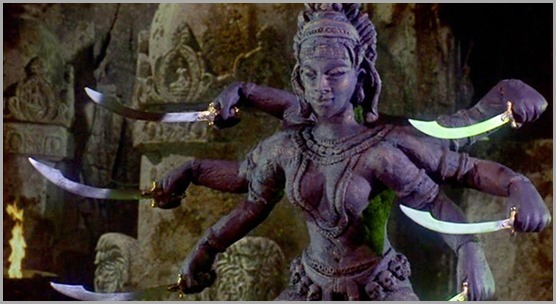 If the oracle from Sinbad was referring to charging networks, then the scales are tipped in Tesla's favor.